CASE STUDY. 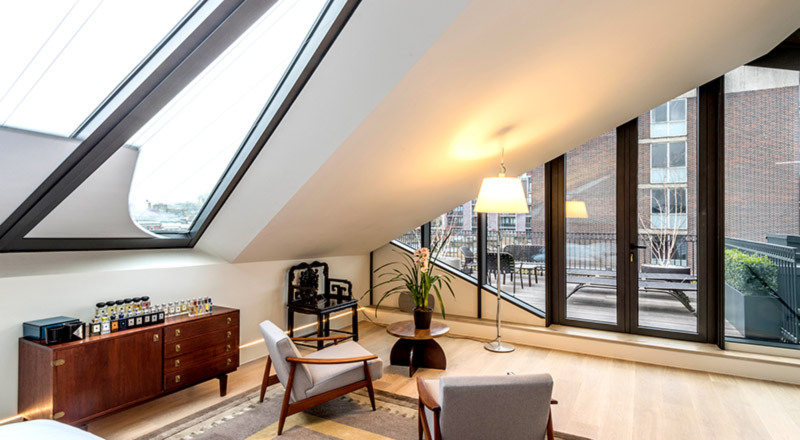 This salubrious penthouse in central London, spread over two floors, has been built to include many shaped window areas in contrast to the very structured appearance of the lower levels. 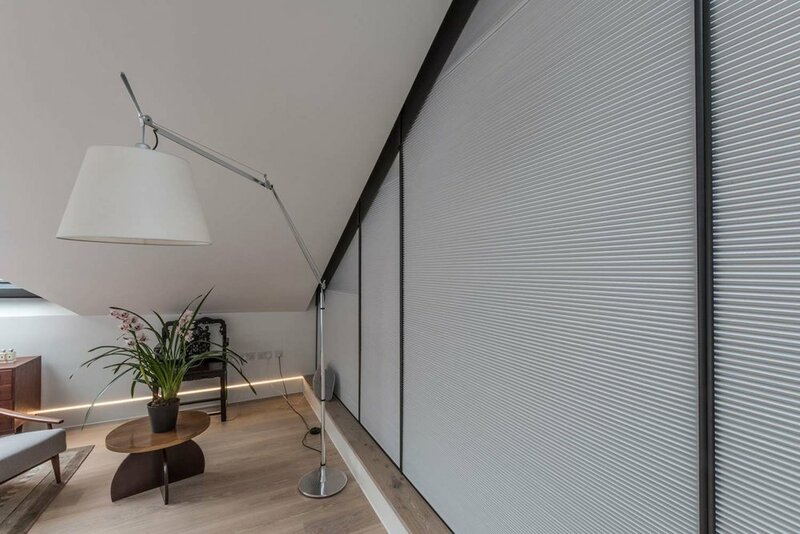 Honeycell Duette® blinds were selected due to their flexibility, privacy and insulating properties. These blinds have been concealed using aluminium which was powder coated to exactly match the specialist metallic RAL colour of the structure. This attention to detail mean the blinds complement the design perfectly. All blinds were fully automated and integrated to the Lutron AV home control system. The bottom-up bedroom blind in black-out material, fully extended with side profiles to ensure maximum light exclusion. When not required, the blinds are not visible due to the high attention to detail and early planning. 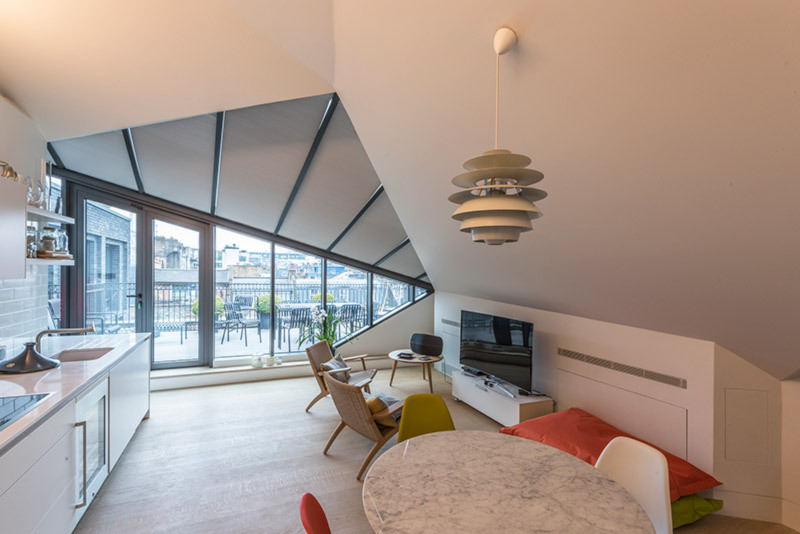 The bright kitchen area with amazing London skyline has uniquely shaped roof and window areas with lengths up to 4 meters requiring Grants long established expertise. The inclusion of blinds means this area is practical providing light and heat control when required. 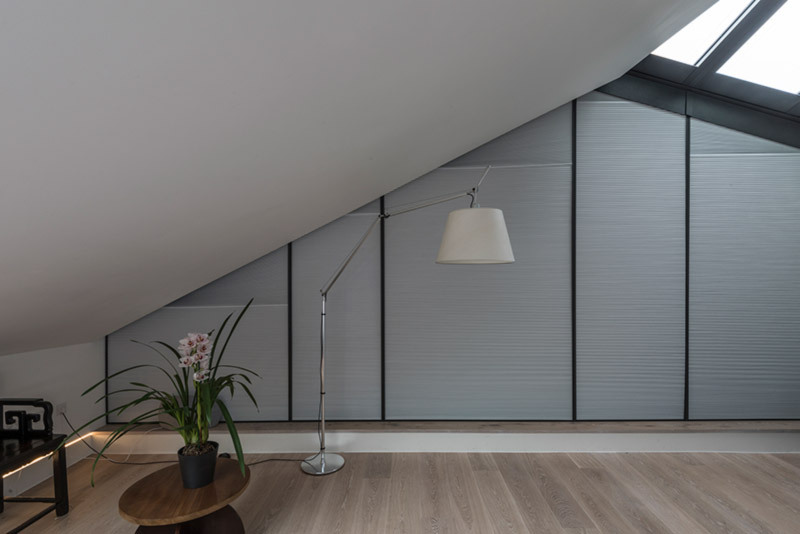 Irregular window sizes and shapes look uniform with the inclusion of carefully crafted top-down Honeycell Duette® blinds – when operated via the Lutron control panel.